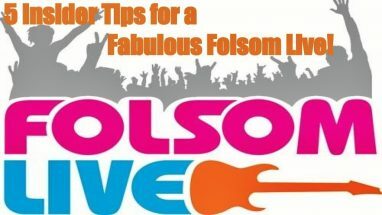 Five tips for a Fabulous Folsom Live! Folsom Live is happening September 23, and it just may be the best one yet. They’ve got a great lineup of everything from blues, to country and even disco. There will be food trucks, cocktails, craft beers and more. To get the most out of Live!, you may need a little advice. I’ve volunteered for, attended, and/or helped with the planning of nearly every Live! since it’s inception. From my experience and observations, I give you my top tips for a fabulous Folsom Live!